We love great design! We live and breathe modular scenery and custom backdrops and look forward to guiding you to the ideal solution for your event. 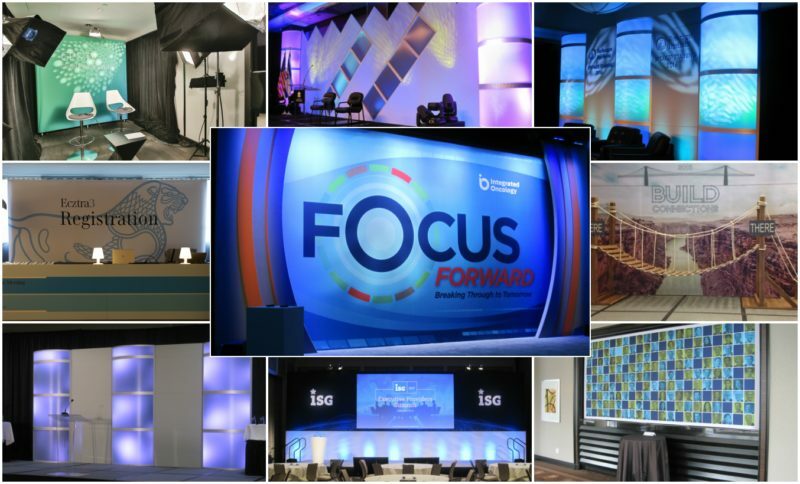 When it comes to modular scenery and backdrops, we love helping our clients solve the design challenges that they find difficult and frustrating. Using our creativity and love of collaboration, we support our clients in achieving wicked cool events. Do you seek a professional look to increase meeting value, look good to your customers and deliver a WOW factor when your audience walks into the room? Our clients value our expertise in production, knowledge of set design and our extensive supplier network that ensures your event is a success. Ben’s love for design, organization, and logistics led to the creation of our Chicago based company. We remove the hidden costs, strain on staff, and stress of preparing scenic for your event. Our Expressive Structures’ team acts as your scenic department, so you can focus on what you do best while we iron out the details. We could talk about our amazing team for hours, but luckily for you, there is a better way to learn more. Take a look at what our clients are saying about us!